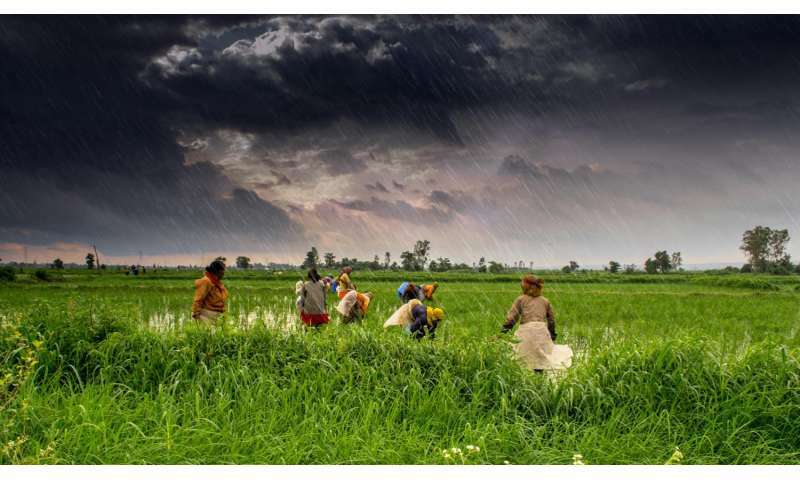 The Indian monsoon is a period of intense rainfall that more than a billion people rely on to bring rains to farmland. The results of the study could help improve monsoon prediction models, which usually use a constant value for sand particles' heat-absorbing ability. Because the absorbing ability varies greatly with region and time, assigning a constant heat-absorbing ability for the particles tends to underestimate the impact that absorbed heat can have on the monsoon system, the authors said. The study was led by Qinjian Jin, a postdoctoral researcher at the Massachusetts Institute of Technology, who conducted the research while earning his Ph.D. at The University of Texas at Austin's Jackson School of Geosciences. He collaborated with Zong-Liang Yang, a professor in the Jackson School's Department of Geological Sciences, and Jiangfeng Wei, a research scientist in the department. The deserts of the Middle East are a large source of "mineral dust," small particles of sand that are brought into the atmosphere by wind and thermals. Once in the atmosphere, the dust can heat parts of the atmosphere by absorbing energy from sunlight. 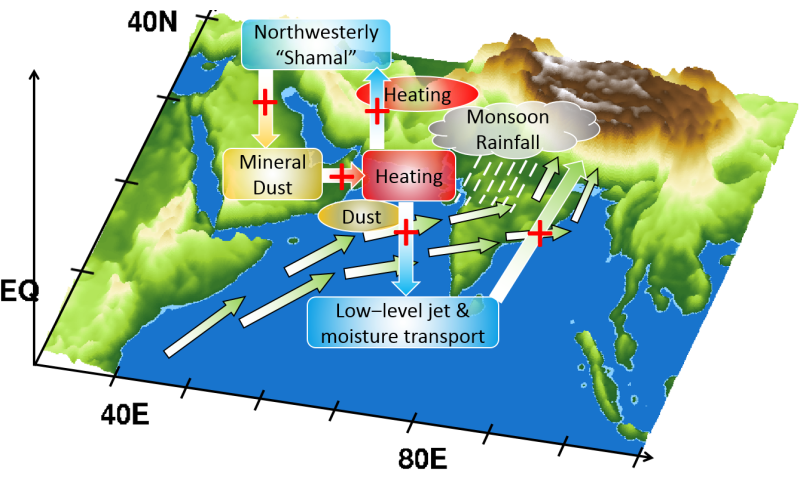 The researchers found that mineral dust that originates in the Middle East can strengthen the Indian Summer Monsoon by heating the atmosphere above the Iranian Plateau and the Arabian Sea. But the dust's ability to absorb heat affected how much the dust influenced the monsoon. Dust that absorbed heat more efficiently was linked with increases in monsoon rainfall. "The heating ability of dust aerosols largely determines how the monsoon responds to dust," Jin said. The Indian Summer Monsoon accounts for up to 80 percent of the annual rainfall in the Indian subcontinent. Increasing the strength of the monsoon can lead to flooding that can cause massive losses in life and crops. Jin said that for climate models to accurately capture monsoon behavior, they must account for the variability in mineral dust's heat absorption. "This heating is represented in very different ways in different climate models, and is one of the factors responsible for inconsistency of climate model results," Jin said. "This study addresses the necessity for developing a new method to represent dust heating in climate models." While this study focused on mineral dust's heat-absorption abilities, Jin said he is planning future research on how the dust particles can influence climate by changing cloud formation and behavior. "Dust particles have been shown to be efficient ice nuclei, which may influence the monsoon by changing clouds' properties," Jin said. "Ultimately, this integrated research will improve our understanding of complex dust-monsoon interactions," Yang said.